You are here: Home 2013 March How to Configure VLAN, STP, DTP Step by Step Guide? 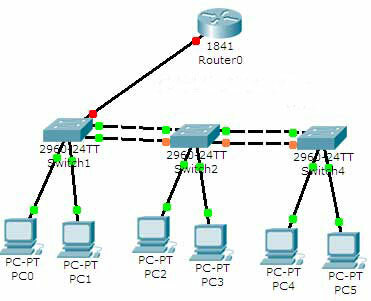 How to Configure VLAN, STP, DTP Step by Step Guide? You are the administrator at router-switch.com have two department sales and management. You have given three pc for sales and three pc in management. You created two VLAN. 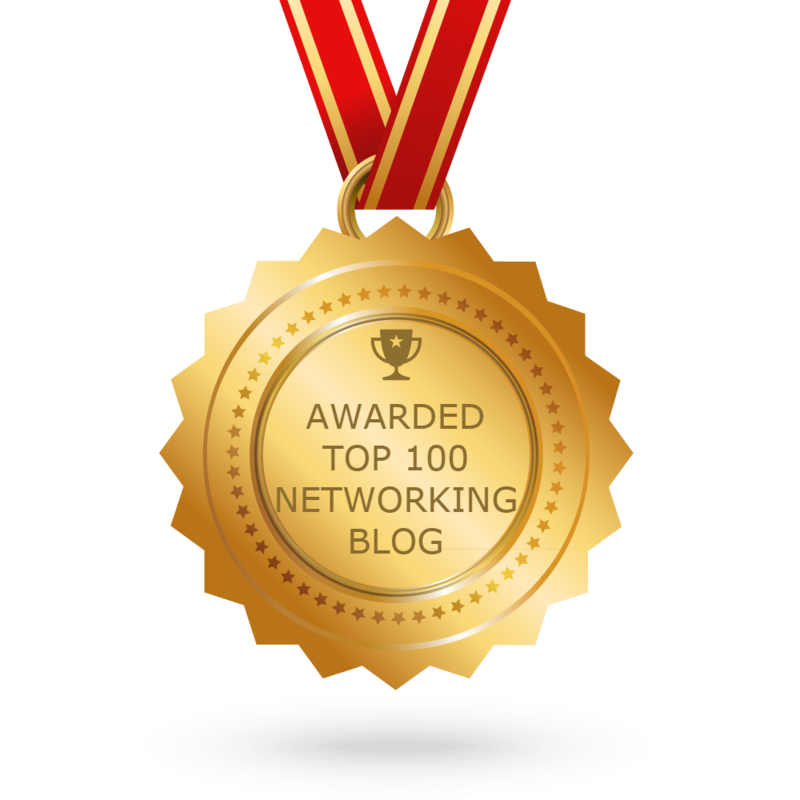 VLAN 10 for sales and VLAN20 for management. For backup purpose you have interconnected switch with one extra connection. You have one router for intera VLAN communications. We will first create a VTP Server so it can automatically propagate VLAN information to other switch. Double click on Switch1 and select CLI. Set hostname to S1 and create VTP domain name example and set password to vinita (Remember password is case sensitive). Once you have created a VTP domain. Configure remaining Switch to Client mode. After VTP server configuration it’s time to organize VLAN. We need only to create VLAN on VTP server and reset will be done by VTP Server automatically. As we have already configured VTP server in our network so we don’t need to create VLAN on S2 or S3. We need only to associate VLAN with port. Now we have two working vlan. To test connectivity do ping form 10.0.0.2 to 10.0.0.3 and 10.0.0.4. if you get successfully replay then you have successfully created VLAN and VTP server. At this point of configuration you have two successfully running VLAN but they will not connect each other. To make intra VLAN communications we need to configure router . To do this double click on router and select CLI. To test connectivity between different vlan do ping form any pc to all reaming pc. it should be ping successfully. If you have error download this configured topology and cross check that where you have committed mistake. 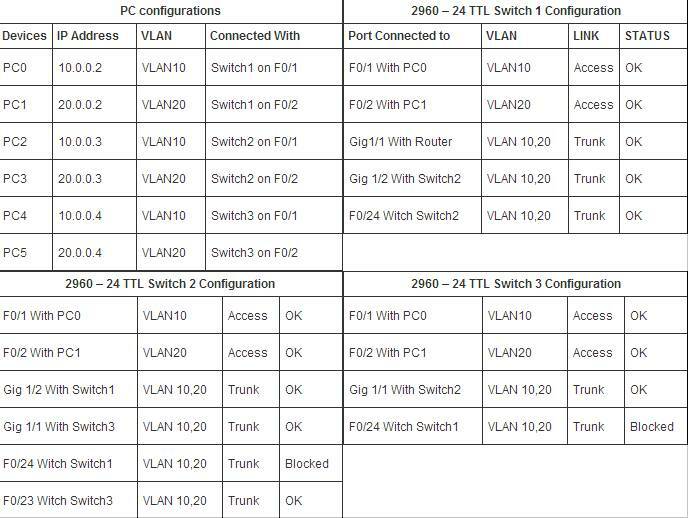 Switch(config)#vlan 10 Creates VLAN 10 and enters VLAN configuration mode for further definitions. Switch(config-vlan)#name Sales Assigns a name to the VLAN. The length of the name can be from 1 to 32 characters. Switch(config-vlan)#exit Applies changes, increases the revision number by 1, and returns to global configuration mode. Switch# Removes the entire VLAN database from flash. Switch(config)#interface fastethernet 0/5 Moves to interface configuration mode. Switch(config-if)#no switchport access vlan 5 Removes port from VLAN 5 and reassigns it to VLAN 1—the default VLAN. Switch(config-if)#exit Moves to global configuration mode. Switch(config)#no vlan 5 Removes VLAN 5 from the VLAN database. Switch(config-if) #switchport mode trunk Puts the interface into permanent trunking mode and negotiates to convert the link into a trunk link. Switch(config)#vtp mode server Changes the switch to VTP server mode. Switch(config)#vtp mode client Changes the switch to VTP client mode. Switch(config)#vtp mode transparent Changes the switch to VTP transparent mode. Switch(config)#no vtp mode Returns the switch to the default VTP server mode. Switch(config)#vtp domain domain-name Configures the VTP domain name. The name can be from 1 to 32 characters long. How the Root Bridge and Ports are Chosen?